Have you ever felt a special exaltation while playing a game or pursuing a physical adventure? Has sport ever taken you beyond yourself, or “out of your mind,” or into a land of enchantment you can only describe in poetic language? If you have, you know something about what this book’s about. 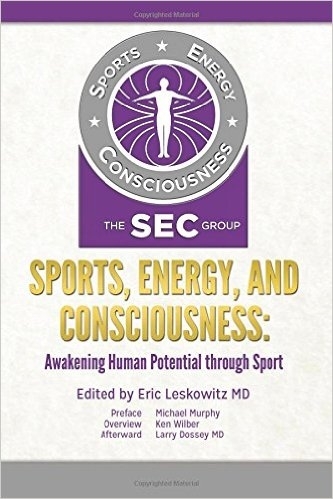 Its authors are helping to lead us there, through the study of supernormal consciousness in sport and transformative practices for athletes and the rest of us alike. I have counted myself part of this developing fellowship, especially after my book Golf in the Kingdom was published in 1972. The response to that book, not only from golfers but athletes in other sports, has opened door after door for me into unmapped territories of sport’s inner life that I have studied ever since. With Rhea White, a great chronicler of exceptional human functioning, I wrote In the Zone, which identifies more than twenty kinds of extraordinary experience reported by athletes and adventurers; and the material in that book contributed in turn to my writing The Future of the Body, a study of supernormal experience in many walks of life that can be cultivated through a variety of transformative practices. These studies, and others like them, have contributed to a growing realization, now worldwide, that humankind harbors a supernature that presses to be born in us. The world of sport is a special arena of this disclosure, a vast theater in which men and women young and old are experimenting with newly emerging powers and capacities. But as a theater of our self-surpassing, it does not have a name. Its revelations are typically veiled when seen, or not seen at all. I have been struck again and again by sportspeople’s reluctance to talk about their mystical or occult experiences unless they have a sympathetic audience. Relatively few coaches or sportswriters understand what athletes are talking about when they describe “extra lights” they saw or moments when they seemed to “levitate” or times when they knew they would “never die.” Sportspeople generally lack the language and the insight to appreciate what such athletes are trying to describe. The authors of this book are working to remedy this. They are opening new ways into sport’s deepest and most magical kingdom. Michael Murphy is the co-founder of the Esalen Institute and author of Beyond the Body, In the Zone: Transcendent Experience in Sports, and 8 other books.